For such a low price, the Brentwood 3-quart round stainless steel slow cooker packs a punch. 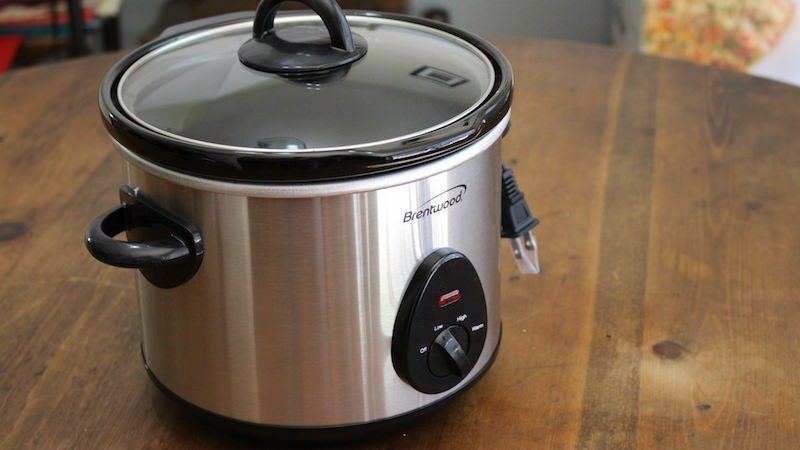 For just about twenty bucks, the Brenwood SC-130S cooks just as well as any other slow cooker out there. It's small size (tiny, at just 3 quarts) means it's perfect for a bachelor(ette) pad, or someone living in a college dorm. Though there aren't any real fancy features, it works, and what else could you ask for. 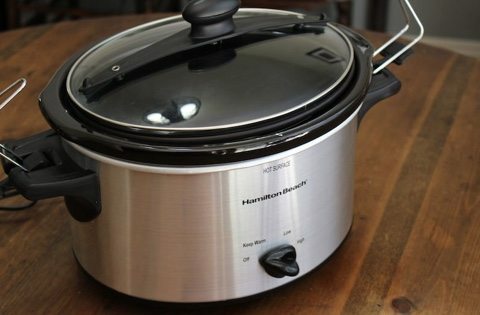 There are some alternatives out there though, so keep reading to see what's good, bad, and different about this model of slow cooker. Of course, this basic model comes with the basic functions of warm, low, and high. Actually, previous models and photos show that there's an “auto” setting, but I think they changed this during an update because auto sounds pretty confusing. “What does it automatically do?”. You can see however in my photos that it's warm now, which makes it much easier to understand. The lid is glass tempered and dishwasher safe, and the black stoneware is dishwasher safe too. I like that the lid doesn't use rubber seals, to prevent any unnecessary smells from transferring from dish to dish. The round design makes it more compact than the oval styles, but it may not be convenient for cooking some types of meals due to small surface area on the bottom of the cooker. 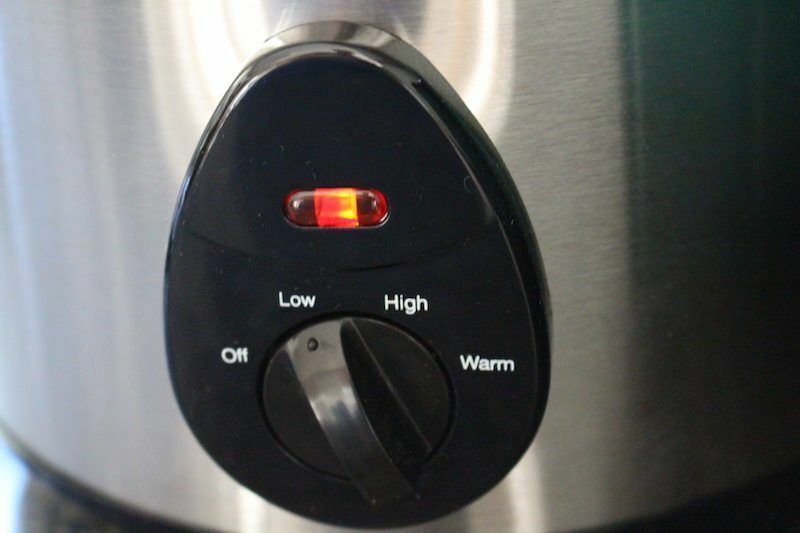 One feature worth mentioning is something simple, but quite unique among cheap slow cookers – that's the ON light. Most slow cookers in this price range don't include an on light, so turning on your cooker means you turn the knob and hope it's working. 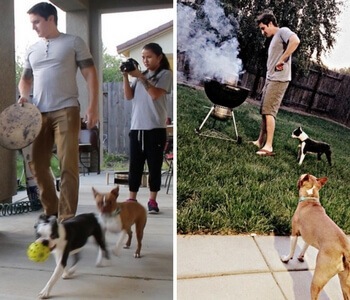 It's not like a stove or kettle where you can see and hear things happening. The ON light is convenient just as a reminder that yet, your kitchen tool is still working! I also think the quality and design of the handles are very good for this price range. Some cookers, like the 5 quart West Bend Versatility don't have anything at all, while others, like the Proctor Silex slow cooker have cheaply constructed handles. It's just one of those things you notice after testing and moving so many of these (which I've done!). 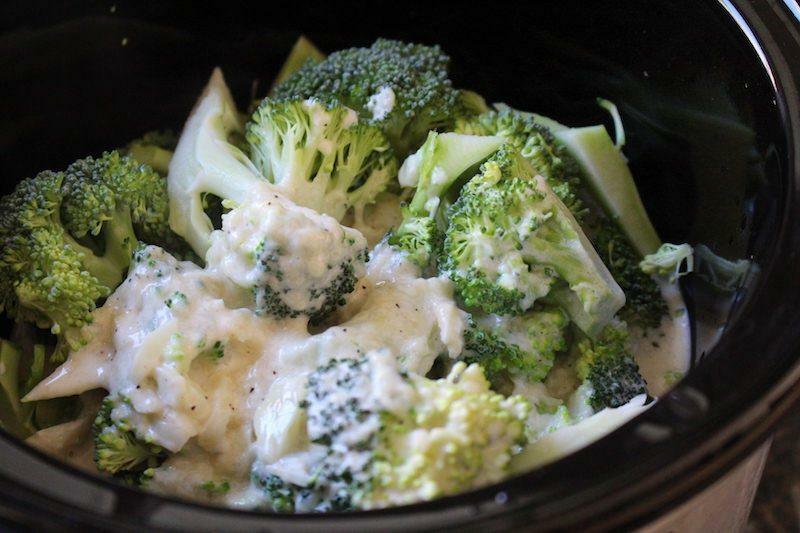 To test the Brentwood 3-Quart round slow cooker I made an an original recipe called broccoli, chicken, & wheat beer alfredo. It turned out delicious! Cheese and chicken is hard to mess up, so everything went off really well. The chicken turned out a little dry, but the flavor was amazing. Note: I only used 2 large chicken breasts and was able to fill the bottom of the cooker fairly easily. That's why you see the broccoli stacked so high in this photo! 3-quarts is easy to use up. It made about 2 meals for me, but I eat a lot, so if you are a light eater you could probably prep up to 4 meals using just a 3 quart cooker. 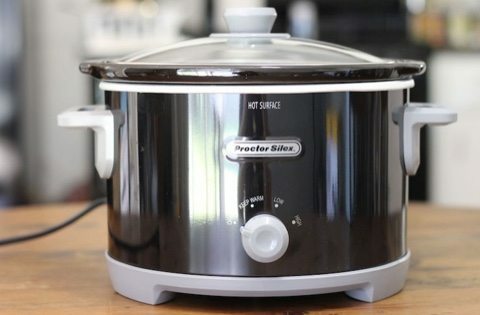 There aren't a lot of 3-quart slow cookers on the market, so the very small size makes this product from Brentwood unique! A much better one that's a 3.5 quart is the Cuisinart 3.5 quart digital programmable but it's a little more expensive, which is going to cost you a bit more for some extra features, namely time programming capabilities. Whether or not you need that depends on the amount of extra time you have to monitor dinner throughout the day. You'll notice that this model didn't make it to my Top 3. There wasn't anything wrong with this brand or model, but other cookers just had more things that I liked. For example, I prefer the oval style of cooker because I have more surface area on the bottom to cook meats. I'd also pay a bit more for a trusted Crock-Pot or Hamilton Beach brand. Lastly, there aren't currently any Amazon reviews for this product, so it doesn't seem to be a high seller, even within the slow cooker genre. Don't forget, if you decide you want to spend a bit more money but stick with the small size pot, then read our reviews of small slow cookers in the mid-price range to see what your options are. Who Is The 3-Quart Brentwood Best For? 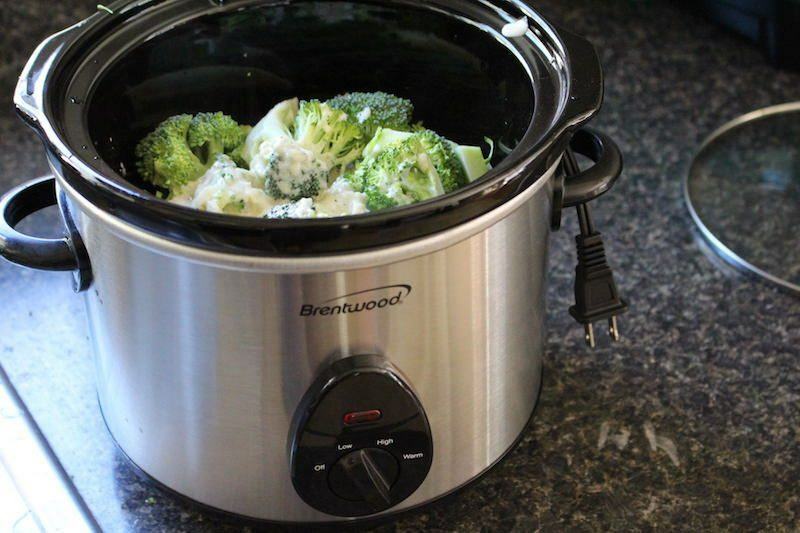 The Brentwood SC-130S, 3-quart slow cooker is great for someone in college, or living in a place with a small kitchen, who also doesn't need to make food for large groups of people. If you hate busting out a bunch of kitchen tools to make dinner, slow cookers are great for set-and-forget meals that you can start in the morning, and eat when you get home. 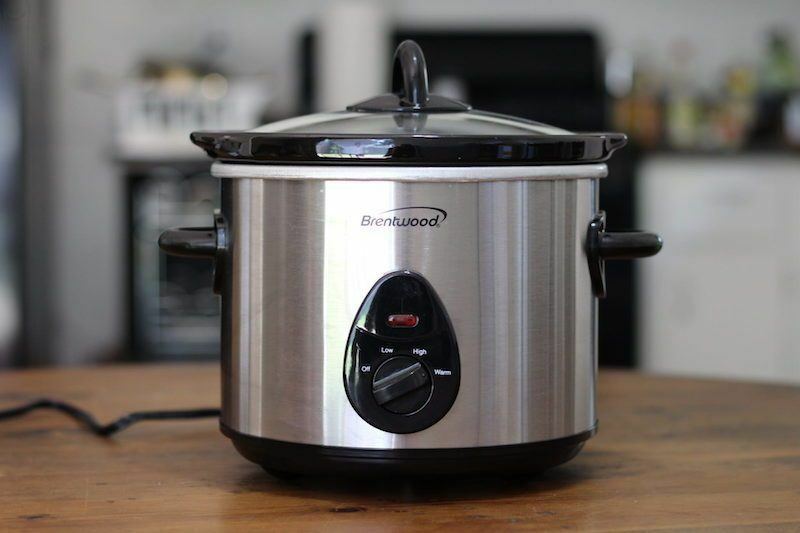 Though other slow cookers in this price range and size were better in my opinion, the Brentwood was very good, and I recommend it! 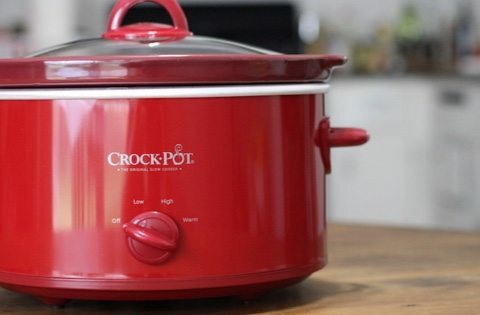 If you'd like more familiar brand, then the Crock-Pot or Hamilton Beach shown below also have full reviews that you can read and pick one of those. 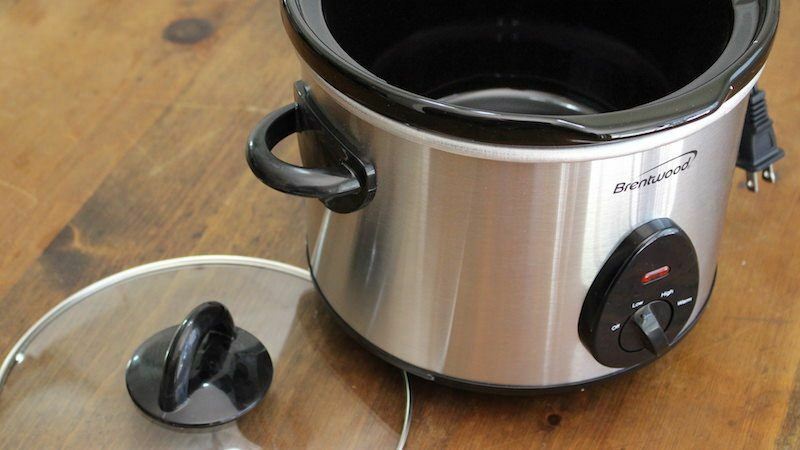 This is a neat little slow cookers, with basic features. There are many more options out there, so probably wouldn't buy this one myself, but there a couple clear reasons why someone would buy it. ==> Get The Brentwood 3-Quart Stainless Steel Round Slow Cooker Here!